eMotors: The Ultimate Solution | S&P Canada Ventilation Products, Inc.
With increased attention on energy efficiency, our industry is evolving to more efficient motors with reduced energy consumption. S&P uses industry leading Electronically Commutated Motors (eMotors) manufactured in the USA. We use these motors in our downblast, upblast, square inline and sidewall propeller fans to allow engineers to utilize the advantages of demand based ventilation without the disadvantages of extensive controls and high energy costs offered by PSC (permanent split capacitor motors). 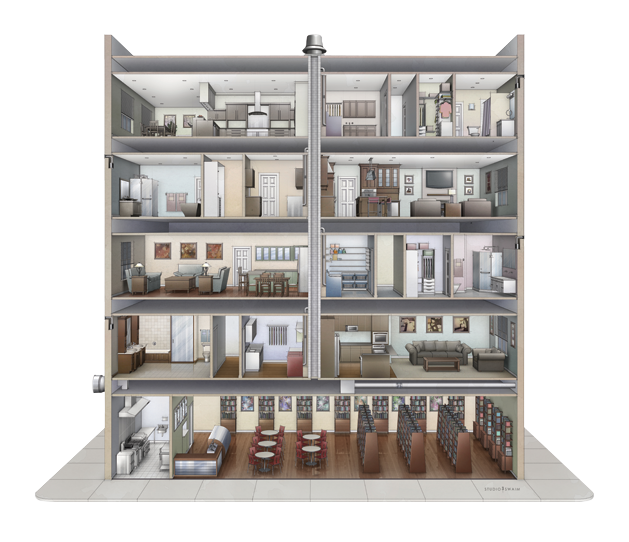 There are several advantages to demand based ventilation, but the clearest one is the ability for the S&P constant pressure system to more closely match the way multi-family building actually functions. In a multi-family building a downblast fan is mainly used for bathroom and dryer ventilation, whereas an upblast fan is primarily used for kitchen exhaust. Since dryers, kitchen hoods, and bathroom fans are usually not running at the same time, single speed PSC powered fans are not the most efficient option. These exhaust systems only operate a fraction of each day, so having the central exhaust systems running at 100% for 24/7 wastes energy. Prior to the advent of eMotors (which accept milliamp signals), complex control strategies and additional external electrical components, such as VFD's, were employed to vary the volume of air. With the advent of eMotors and our constant pressure controller, a single probe in each shaft is all that is required to maintain the constant pressure in the shaft when all of the fans are not in operation. This has made demand based ventilation a more effective solution on multi-family projects. An eMotor is approximately 80% efficient vs a traditional PSC motor which is around 60% efficient. In summary, demand based ventilation is the best way to ventilate a multi-family building because it allows the engineer to more closely match the energy usage to the building usage.